The Quiz activity module allows the teacher to design and build quizzes consisting of a large variety of question types, including multiple choice, true-false, short answer and drag and drop images and text. 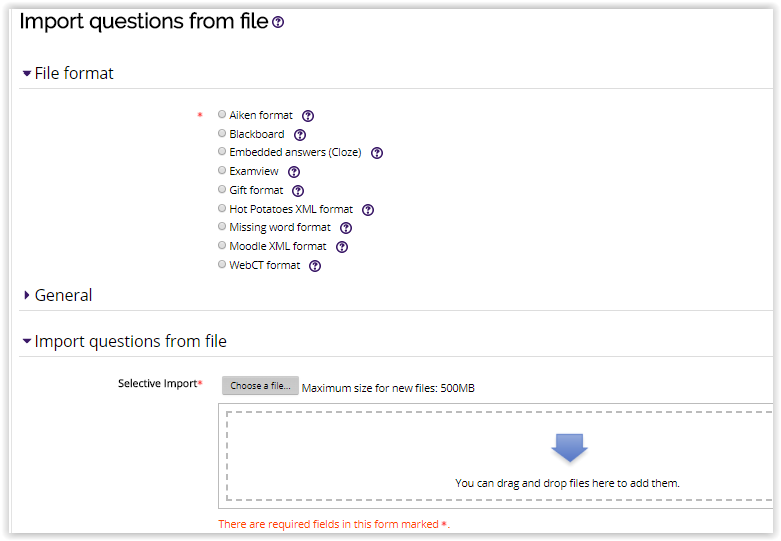 It is possible to import questions from a file that has been exported. 3. Click on the quiz you wish to import questions into. 4. 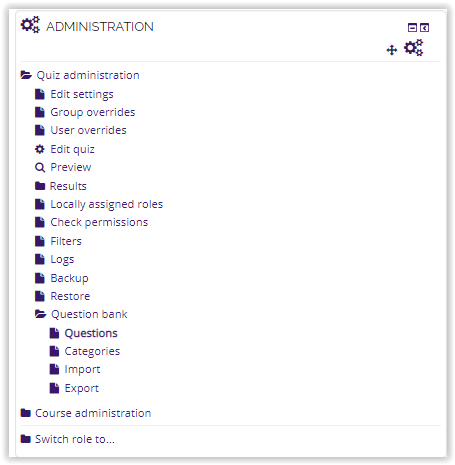 On the Administration block at the bottom left, open the Question Bank tab and click Import. 5. The next window is where the file can be imported. Choose the correct file format from the list at the top, then click the Choose a file button and located the question you want to add. 6. Click Selective Import when you are done. The questions will now be imported.